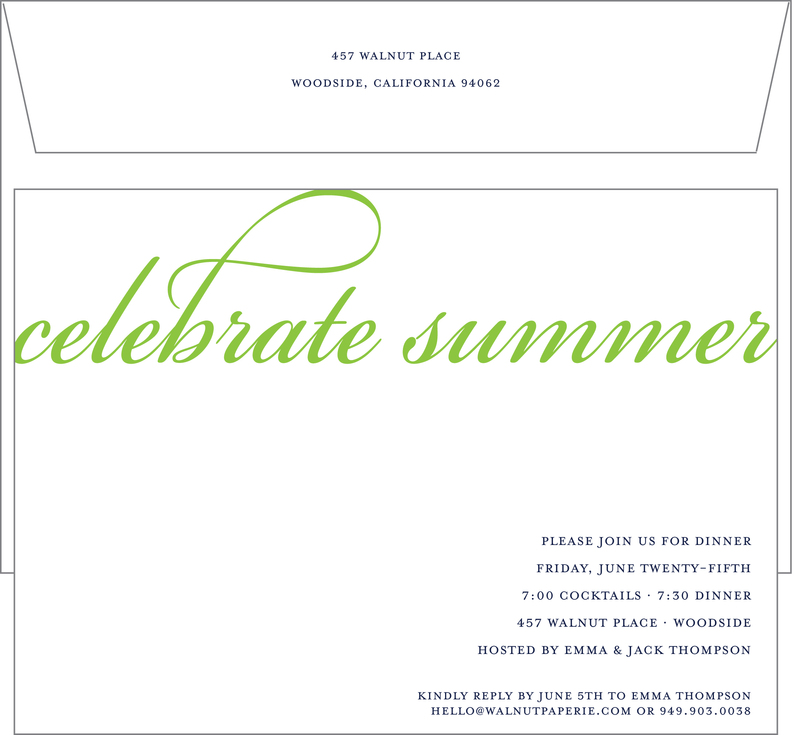 Wouldn’t you be excited to get invited to a summer kickoff party with this invitation? I designed this for a friend’s work summer BBQ. I’m loving the summer colors and the ideas of backyard barbecues with friends. What are you doing to celebrate the coming of summer? 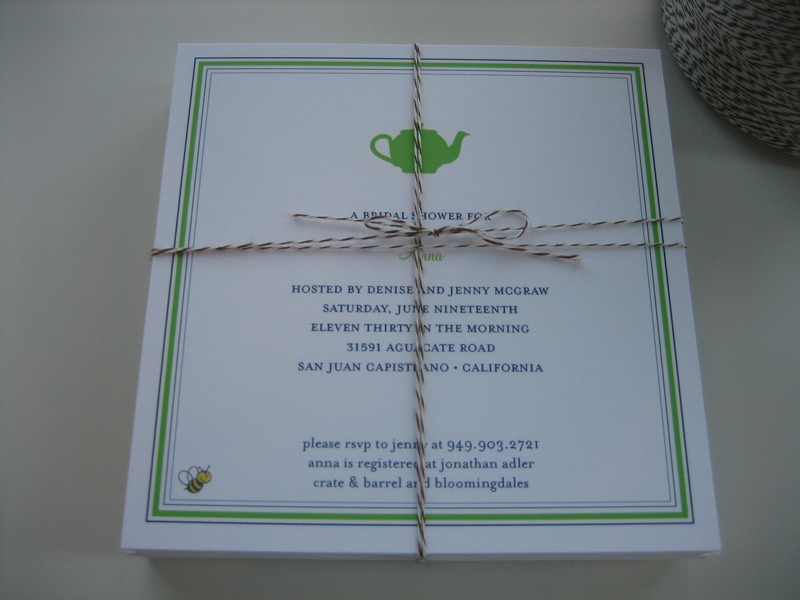 We are having a Walnut Paperie barbecue this weekend…you inspired us Jamie! 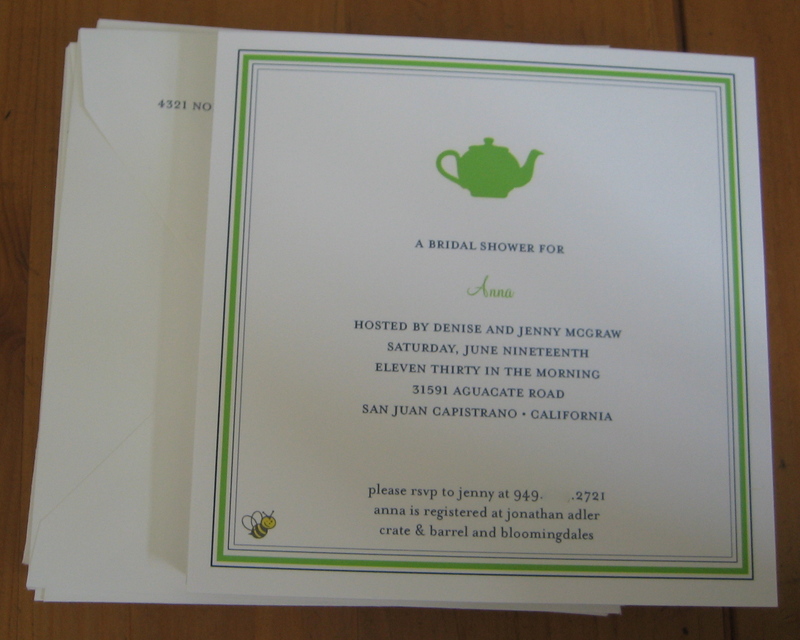 b & i are lucky enough to be the “design team” for our dear friends Katie & Greg who are currently planning their wedding. 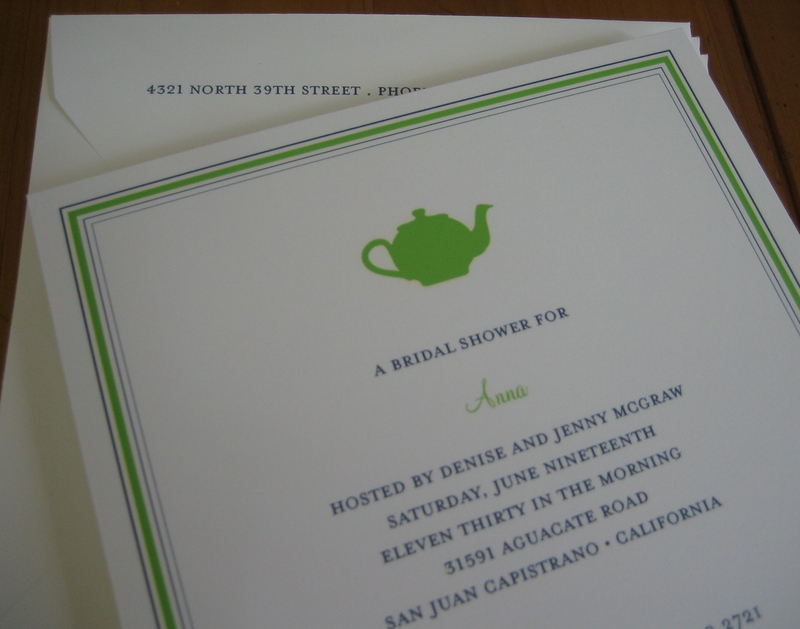 They let us design these adorable thank you notes for the first of many festivities…their couples shower! 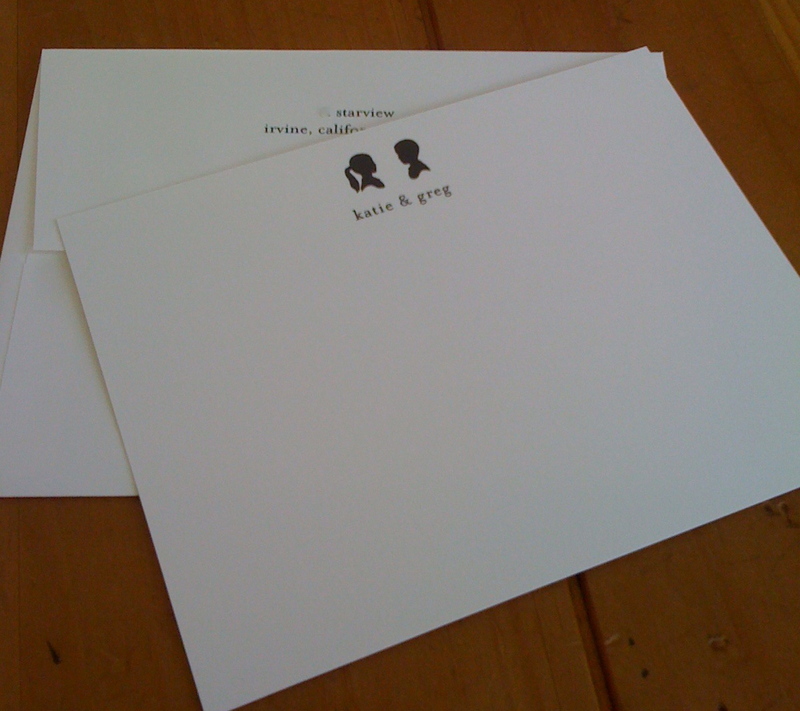 The best part about this project is I designed, printed, and shipped these out…only to receive one back in the mail with a lovely handwritten thank you note from Greg! What a fun treat. He’s a winner, Katie! 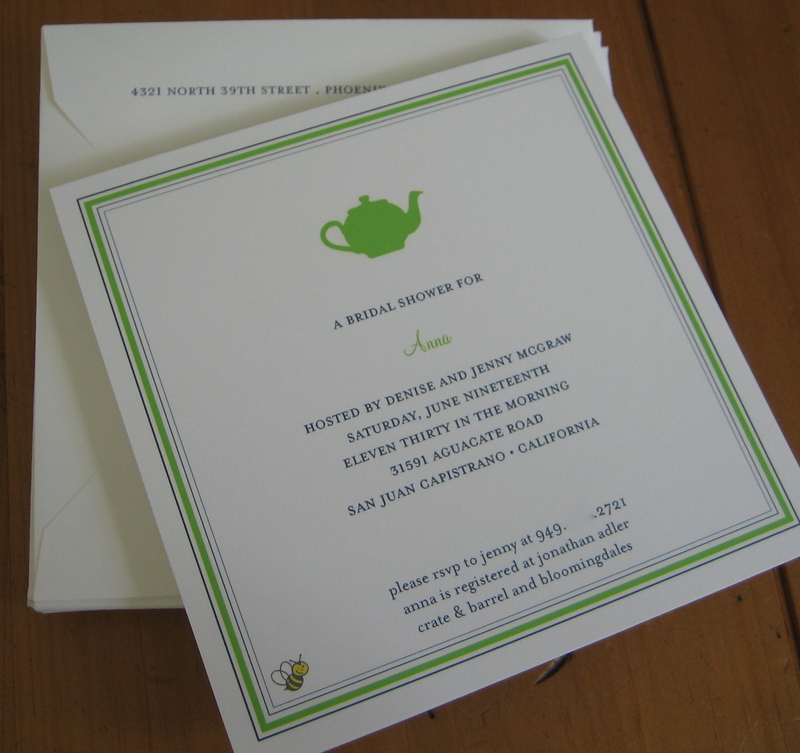 Just printed these thank you notes for a little boy’s birthday party. Loving the nautical theme. So East Coast, right? 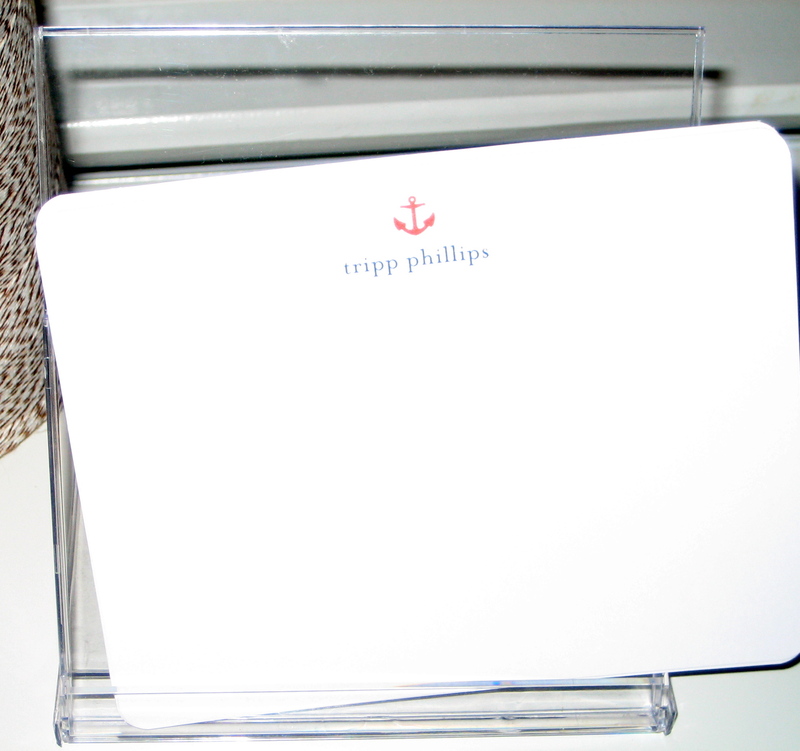 Our client had great taste on her own and combined our favorite font with this adorable anchor. Voila!